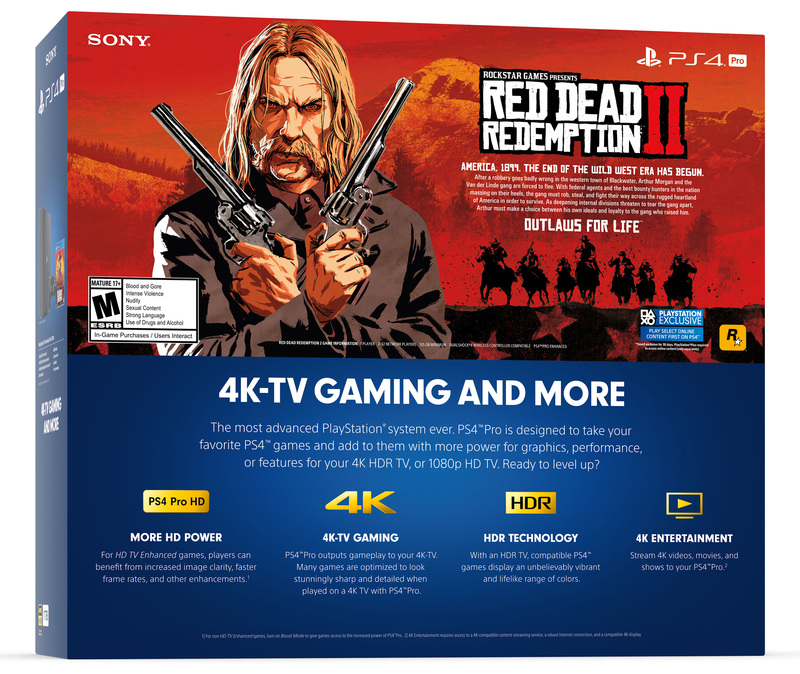 Earlier this week, Sony unveiled their new Red Dead Redemption 2 PS4 Pro bundle, which is on sale now at Amazon, Walmart, and all the other big online retailers. Interestingly, some of the listings for the RDR2 PS4 Pro bundle include a shot of the back of the box, which includes some info Rockstar Games hasn’t made official just yet. Check out the telltale box art, below (click on image for full resolution). “Select online content” PS4 exclusive for 30 days: We already knew the PS4 was getting some timed-exclusive content, but now we know how long the exclusivity window lasts. It could be worse, Xbox owners won’t be waiting months like they do for Destiny content, but these kind of deals remain frustrating. 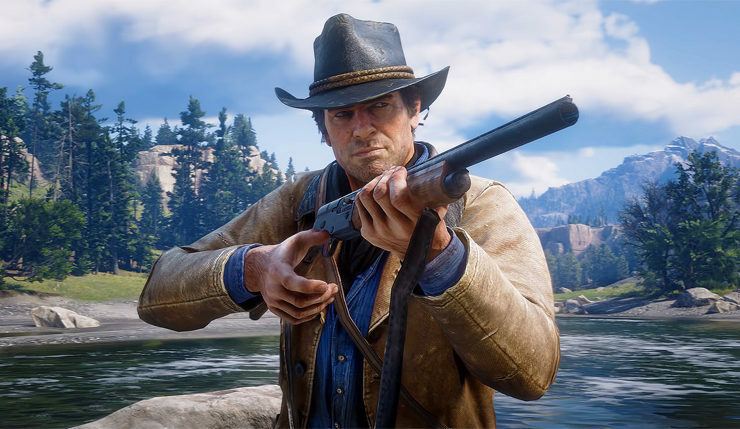 Online play supports 2 to 32 players: Rockstar has revealed Red Dead Redemption 2’s online component will be an “evolution” of the multiplayer mode from the previous game, but we didn’t know exactly how many players it would support. Seems Rockstar is keeping things modest with only 32 players – no battle royale mode here! Clear some hard drive space, because RDR2 is a huge download: According to Sony, you’re going to need at least 105GB of space for the game, and that doesn’t even take into account a day-one patch or any other downloads. Dang.